Gamers have found themselves unable to proceed past a certain story scene in Final Fantasy VI thanks to a game freezing bug. 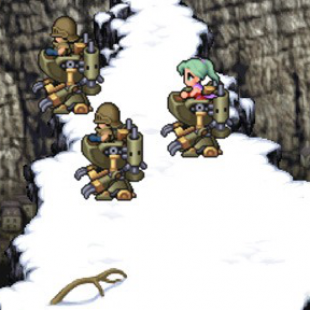 Final Fantasy VI was recently remade and re-released on Android platforms and, while the further proliferation of one of the great RPG classics is an undeniably great thing, questionable visual choices and unfortunate spelling errors have left some fans frothing. Potentially adding insult to arguable injury, it's now been revealed that the current Android build of the game is actually unbeatable. The game's impossible nature was reported by gamers on NeoGAF and is apparently a result of a late-in-the-game bug that freezes the game smack dab in the middle of one of its more poignant story scenes. We won't give anything away in case you haven't played this twenty year old game yet, but suffice it to say the Android version would not make General Leo happy. This being said, Square Enix has apparently already caught on to the reported problems and has promised a reparative patch on the game's Google Play page. Nonetheless, we can only imagine that this newest incident will only help to fan the flames for fans convinced that the company didn't give the Final Fantasy VI remake the time and effort it deserves. Whatever your feelings on the matter we hope that the promised fix arrives sooner rather than later so those gamers who paid $15.99 for the game will actually be able to beat it.